While many post construction cleaning companies claim to function with a safety first mentality, we consistently monitor our projects to ensure that our post construction window washers are practicing safety. 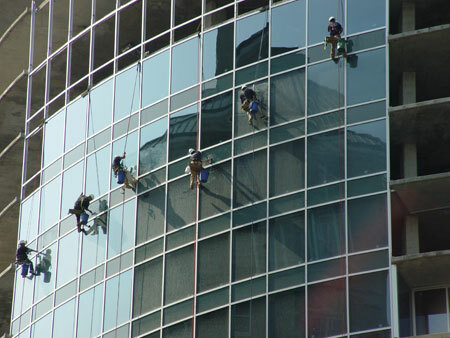 Cleaning glass windows is just one of the functions of our window washers. Accessing the windows safely enables us to perform construction clean up for years to come.